This Post has already been read 1174 times. 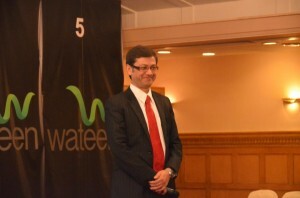 In a first for any corporate organization in Pakistan, Wateen Telecom, the country’s leading converged communications service provider, recently launched its Core Values during special events organized for all company employees in Lahore, Karachi, and Islamabad. 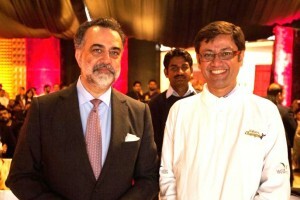 The events kicked off with the first one held at the Wateen Head Office at Oberoi House in Lahore. Over 700 Wateen employees were in attendance, ranging from office assistants to the Senior Management Team, Wateen CEO Mr Naeem Zamindar, and senior Board Member Mr Zouhair Khaliq. A select group of the company’s Enterprise customers were also invited to attend the explosive, high-energy and fun-filled event. The most significant aspect of the launches was the Value Champions Team, comprising of employees from every tier, segment and background. Following six weeks of ‘living the Values’, Wateen now has a total 100 employees who’ve experienced the benefits of the Values and have become ‘commandos’ who will drive the new culture. The entire process of defining and creating the Wateen Values took over a year and a half, finally resulting in five final Core Values to be implemented within the organisation: Serve & Enable; Passion, Energy & Fun; Team work & Respect; Ownership & Accountability; and Innovation & Creativity. Each of these values is defined by three specific behaviors, allowing the values to be integrated easily into every day behavior. The events consisted of demonstrations, presentations, skits, and other interactive activities aimed at allowing employees to actually experience the Core Values as they might be applied in real life settings. 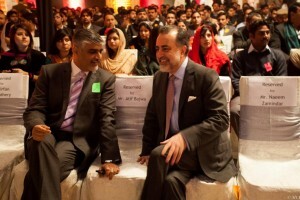 The Lahore event was followed by similarly successful events in Karachi and finally Islamabad. Moving forward, the plan is to drive the Values throughout the organization by getting every single employee on board. A Rewards Program is being planned around the Values and their behaviors, which will motivate people to focus in the direction of the new culture. Every time someone hits a certain level of points, a reward will be triggered. This will create momentum and create healthy competition in the right direction.